Lovely two story home in Evergreen View Subdivision. First floor master bedroom with hardwood floors. Great sized master bath with two walk in closets. Three bedrooms up with walk in closets and two full baths. 4 1/2 baths in all. Good sized kitchen with island and pantry. Awesome two story family room. Main level office. 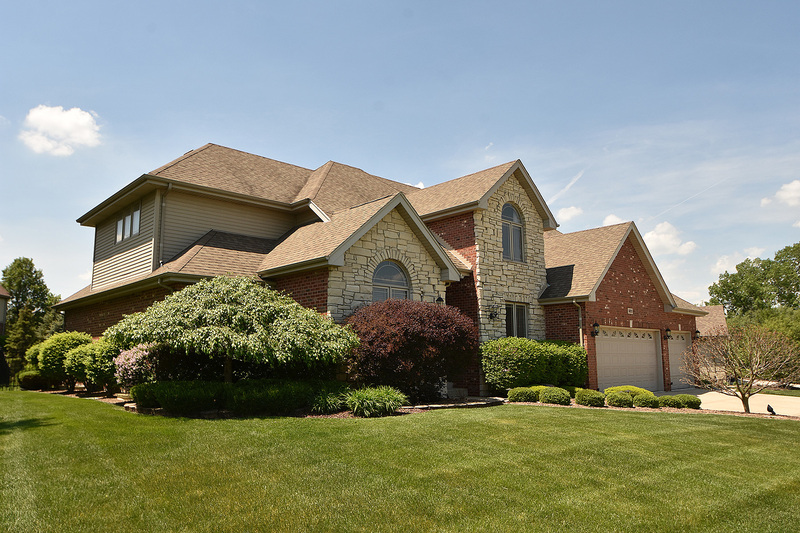 Beautiful finished basement with full bath plus theater room, exercise room and bar area. Two newer hot water heaters. Large first floor laundry room. Beautiful fenced back yard. Across from Park/playground. Shows well.